Dana Andrea Nigrim-Mihaescu has studied music and piano in Brasov (images slide*), important cultural center of Romania, with rich artistic traditions, where she grew up in a distinguished cultural and musical milieu, her grand father Nicolae Grigore Mihaescu Nigrim, writer, her aunt Yarodara Nigrim, actor, and her mother, Ana Lucia Nigrim an opera singer (a native of Sinaia*, where Dana spent many days of her childhood). Through the quality of her playing, she has been awarded top prizes in the most important national piano competitions, affirming her reputation as one of the most talented Romanian pianists among the finest musicians of her generation. She first came to public attention at age ten when she appeared as soloist with 'Gheorghe Dima' Symphonic Orchestra of Brasov. 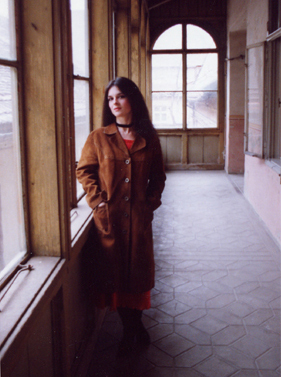 In her career, she sustained numerous solo recitals across the country and concerts with the most important artistic directors and conductors of Romanian Symphonic Orchestras from Bucharest* (*= images slide), Sibiu*, Cluj-Napoca*, Iasi*, Craiova*, Târgu-Mures*, Arad*, Ploiesti*, Bacau - Cristian Mandeal, Horia Andreescu, Petre Sbârcea, Ion Baciu, Ovidiu Balan, Razvan Cernat, Mircea Lucescu, I. Ionescu-Galati, Dan Chirila, Modest Cichirdan, Teodor Costin, Cristian Neagu, Hari Bela, as other conductors: Leonid Nicolaev - Russia, A. Serrano - Italy, W. Heuer - Germany, J. Suk - USA, Young Chil Lee - Korea, Françcoise Legrand - France, and Canada: Louis Lavigueur, Jacques Lacombe, François Quimet, Timothy Vernon, Yannick Nezet-Seguin, Cristian Gort, Peter Willsher, Olivier Robe, Jean-Paul Brunet, Silvia Tabor, winning an enthusiastic audience as well as music critics appreciation. During her intense musical activity she built up a varied repertory, representative of different composers and styles. She appeared on Radio and Television in piano recitals and interviews, several broadcastings being dedicated to her musical parcours. She also became the soloist of Brasov Symphonic Orchestra.